Al Fattan Marine Towers 2 bedrooms USD 43,836 p.a. Sadaf 5 3 bedrooms USD 45,205 p.a. 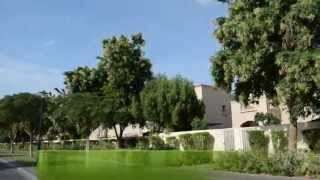 Al Msalli 2 bedrooms USD 47,945 p.a. The emirate of Dubai is one of the great success stories in the process of economic development and progress. Traditionally the trading hub of the UAE, Dubai is now extending its success into tourism and knowledge-based industries. We provide an authentic and informative platform for our customers to facilitate them for buying or renting properties in Dubai with ease. We educate and help buyers, sellers, renters, and landlords with Dubai real estate and provide list of hundreds of Dubai properties for sale and re-sale. Our Property Consultants speak over 20 languages and are fully trained to cater to your real estate needs. Whether you are looking to buy, sell or rent in the UAE, we offer all the services that you require as our client. From gaining knowledge on the UAE real estate market, to information on maintenance services and even moving services, we are able to save you both time and money.